More than 10,00,000 students take IIT-JEE every year, but only a small percentage make it. The most important in any competitive examination cracking step is to believe that you have in you to achieve your dreams. With this perspective, as you prepare for IIT-JEE means you've won half the battle. Plan a study timetable. One of the challenges facing the aspirants is their time management problem effectively. The best way to do this is to study a plan ahead of time, and then to commit to a plan down. Hakim attention on the following three topics: physics, chemistry, and mathematics. Practice self-reliance and never leave a question half-solved. Do not jump to the Solutions Division before trying to get the right answer to yourself several times. This will teach you self-reliance, and help you with any problems you may have in the basic understanding of the issue and concepts. Have a conceptual approach. While reading the question carefully before it is expected to try, it is also important to look at the concept of the question you need to apply when you attempt to solve it. This will help you understand the problem to be solved in a manner equivalent to the occasion. Avoid burning the midnight oil. Our minds are fresh after sleep, and studies have shown that retain information better when we study after a good night's sleep. Sunrise at 6:00, and sleep at 11:00. This will keep your brain activity maximum in the morning and will help you in the day that you take the exam. Take 2 hours each day to do something you enjoy. Relax after long hours of study are not as important as the regularity and consistency in the pipeline. You will give yourself time to relax with a hobby or sport of your choice to help you get rid of the tension and avoid the anxiety before the exam. 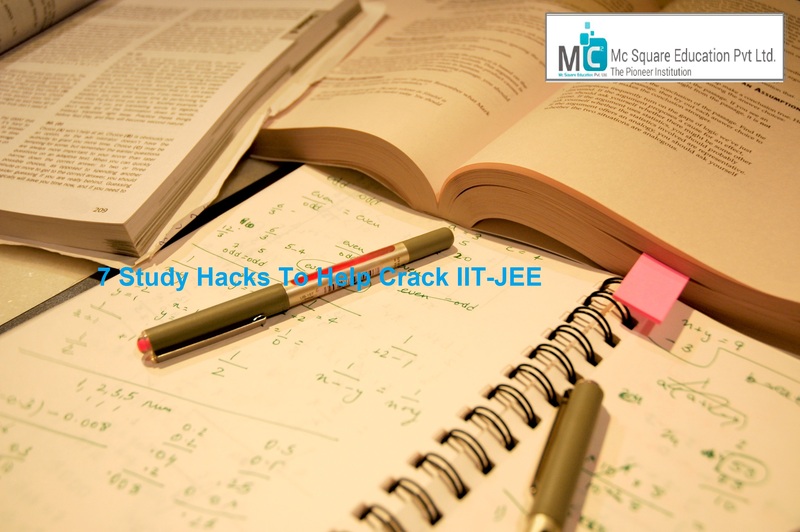 With these 7 steps, you’ll be better prepared to take the IIT-JEE Exam. Do you have any personal favorite study hacks of your own? Share them with us in the comments. For more information visit on IIT JAM coaching institutes in Pune, IIT JAM Exam pattern in Pune.